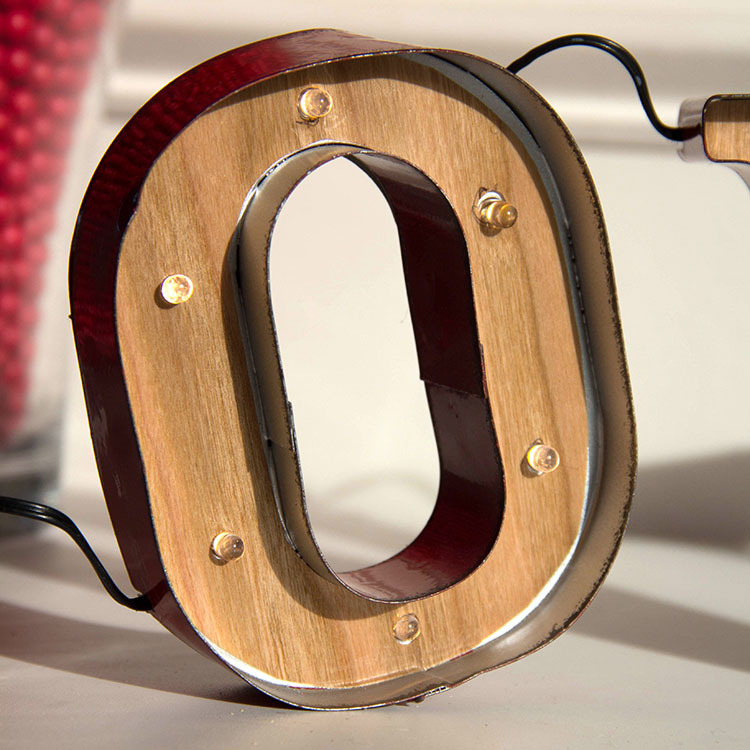 Check out this LOVE Marquee we customized with BARC Cherry Wood paper. 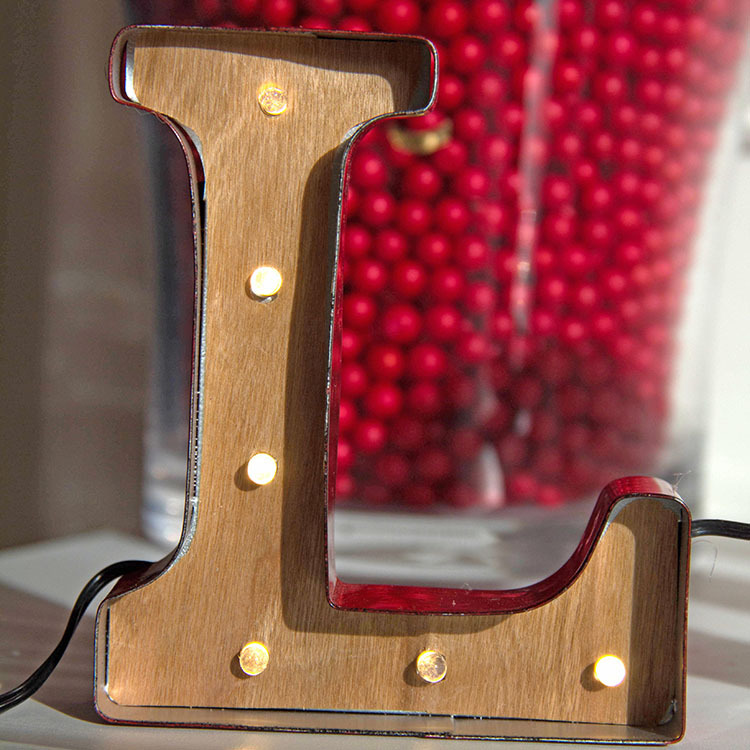 Marquee letters are super hot right now and you can find them everywhere. 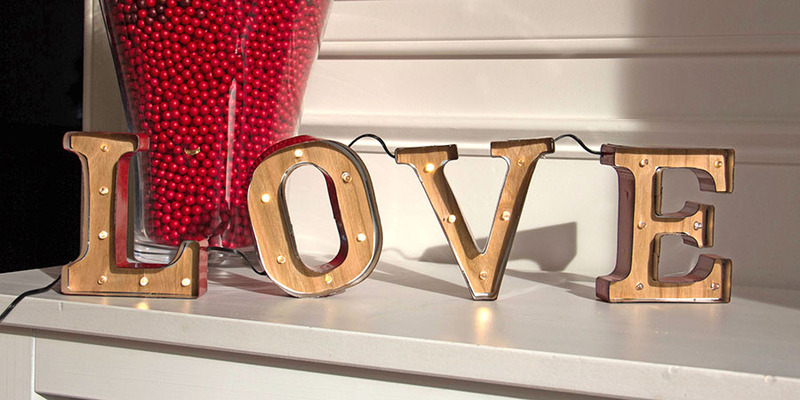 This LOVE marquee started out as metal and we added some rustic warmth with Cherry Wood Paper. LOVE IT! Supplies for LOVE Marquee: BARC Cherry Wood adhesive backed paper, LOVE Marquee, paper, hobby blade, scissors and pencil. Trace marquee letters onto blank paper. Cut out traced letters .25 inch inside of trace line. 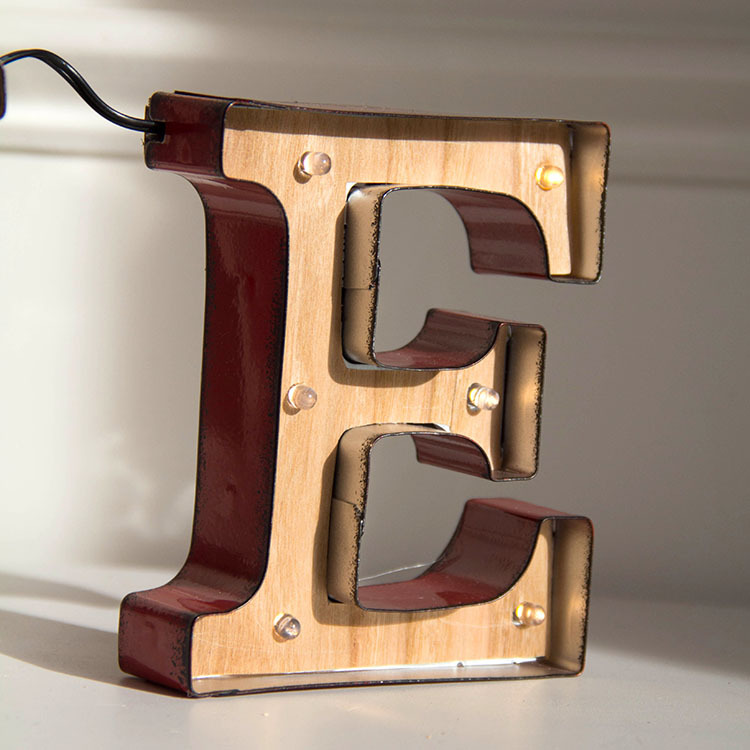 Use cut out letters as a stencil to cut out Cherry Wood letters. 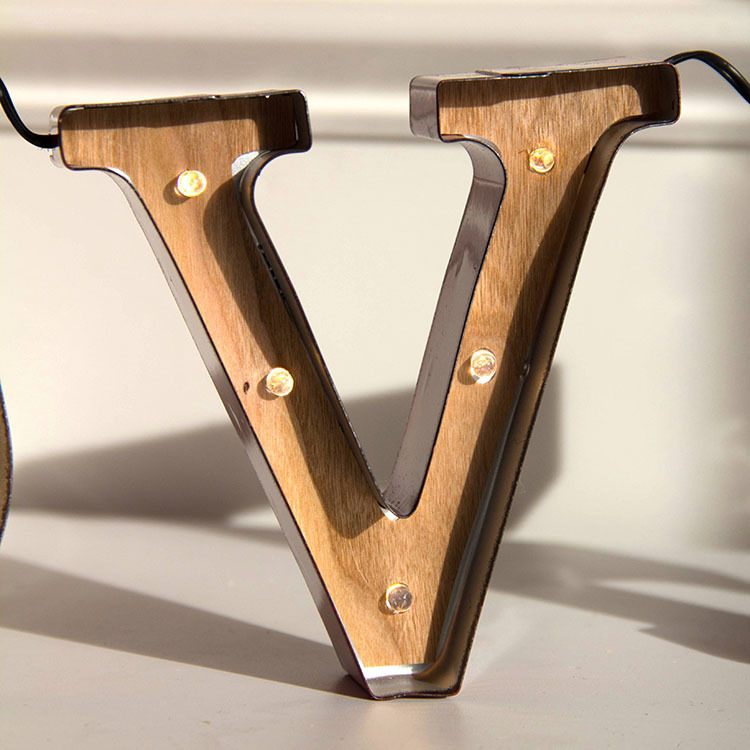 Punch out holes from Cherry Wood letters where needed for lights. Adhere Cherry Wood letters to marquee. This entry was posted in Crafts & Kits, DIY Projects, Home Decor, Uncategorized and tagged Cherry Wood paper, crafts, diy, Home Decor, marquee.